The reality, I believe, is that no one can predict the property market. All we can do is look at the state of the current market and make decisions based on this. 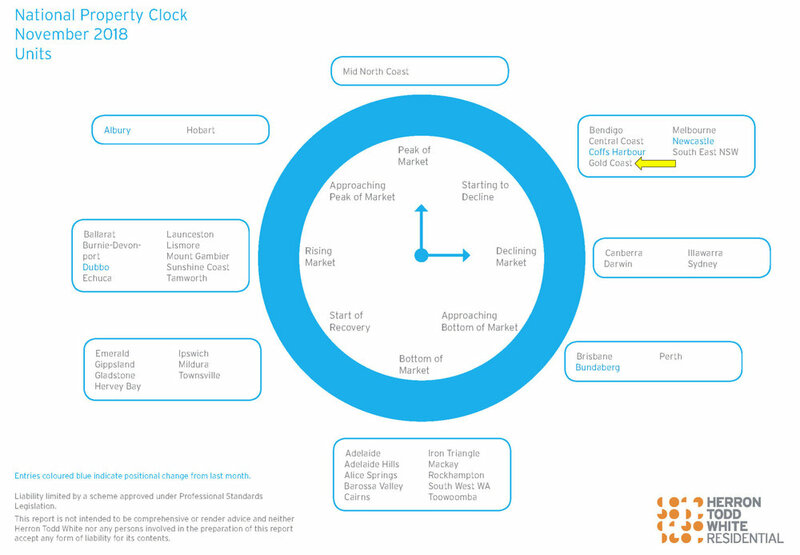 This being said, I have included in this report the "property clock" from the November 2018 market report of Herron Todd White. They are one of the largest property valuation companies in the country and this "clock" is their take on where different cities are currently in the property price cycle. 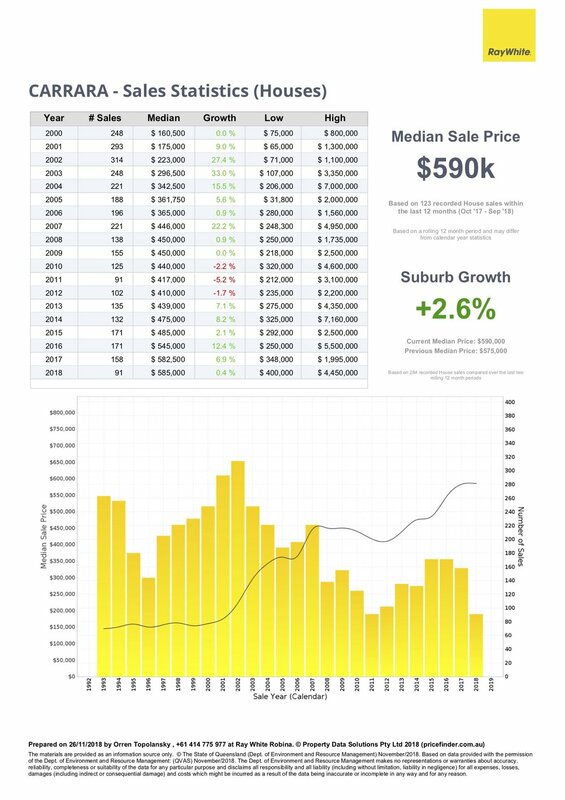 Looking at the numbers below, the market remains relatively flat for the year. There is not much change in prices from my report of two months ago. Days on market does seem to be creeping up slowly but is still significantly lower than around 2011 (see graph below). Percentage of stock on market (supply) for houses has been rising since the beginning of 2017. Carrara unit prices have declined significantly this year, down -6.4% since the beginning of the year.This is similar to my report of two months ago. Days on market has also increased and percentage of stock (supply) on market has also increased sharply over recent months. There is definitely a shift on the market this year, but whether this leads to a longer term downturn in the local market is still too early to determine. Herron Todd White are predicting this to be the start of a declining market on the Gold Coast.